HomeThrowbackThrowback: “Setting Fire To Sleeping Giants” by The Dillinger Escape Plan! 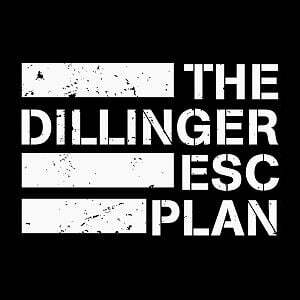 The Dillinger Escape Plan might have disbanded at the end of 2017 and gone on to join numerous other bands but they were a massive Metal scene influence on the current generation of bands coming out from the Underground. For today’s journey down the yellow brick road otherwise know as memory lane, were going to mention the critically acclaimed “Miss Machine”. The album appeared in 2004 via Relapse Records, the bands first with vocalist Gregg Puciato and polarised fans almost instantly. The bands schizophrenic Mathcore sound was still at the sounds heart but expanded to add melody and give everything a more violent edge. From that album, here’s “Setting Fire To Sleeping Giants”, a masterpiece of a song in the context of a fantastic album.